I want to get out of this system; it's killing me! I'd been working hard every day for 17 years. I want to drop out for a year and walk the Rocky Mountains from Montana to California, as much as possible in the wilderness. I had to leave the organized world of pressures and search for real meaning in a quiet non-threatening environment. I began walking in the Northern Tetons of Wyoming, through the back country of Yellowstone Park, and eventually to the Pacific Ocean and a celebration swim in the sea regardless of the month or weather. My adventure included encounters with a grizzly bear, mountain lion, coyotes, elk, eagles and other species. 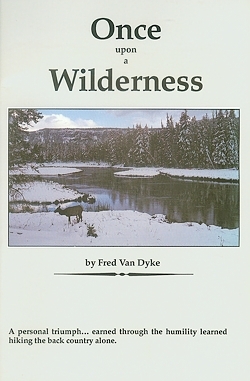 Fly-fishing for trout & wandering the wilderness were powerful teachers. My personal triumph..... earned through the humility learned hiking the back country alone. Click here to order this thought-provoking book.